We all communicate with our cellphones and use our cellphone cameras to capture special moments, which we then share on social media with our loved ones and friends. Guaranteed you have plenty of pics of yourself, some really awesome ones and then some that are not so great. Have a look for a really great pic of you, at your best weight and make sure to save it in your favourites! Keep this pic handy and take a look at it daily, it will inspire you to get back into shape and help you stay motivated. You eat lunch and head back to your desk wanting to be productive but all you can think about is snack foods and napping. Want to get around all that? Try a protein-rich lunch. It’ll keep you energised and productive without snack cravings, and you’ll feel great that you have stayed on track. If you find yourself in a social situation where you’d be inclined to eat too much (like a birthday party or office party for example) Chew some strong mint Gum, as it is a great way to trick your brain into thinking you’re satisfied and don’t need that slice of chocolate cake with all those added calories. Plus you will be confident in the freshness of your breath at the same time. These tips may seem small and insignificant but believe me they do work. 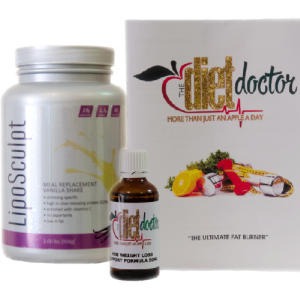 ← It’s A Miracle The Change Your Life Diet -The Diet That Works! Does Sleep Affect Our Weight Loss?